It was the era of pogs and Pokémon, scrunchies and Sabrina the Teenage Witch, Beanie Babies and Buffy the Vampire Slayer: the '90s. Those who were lucky enough to experience a time before "millennial" became an everyday term often praise its exceptional contributions to everything pop culture. 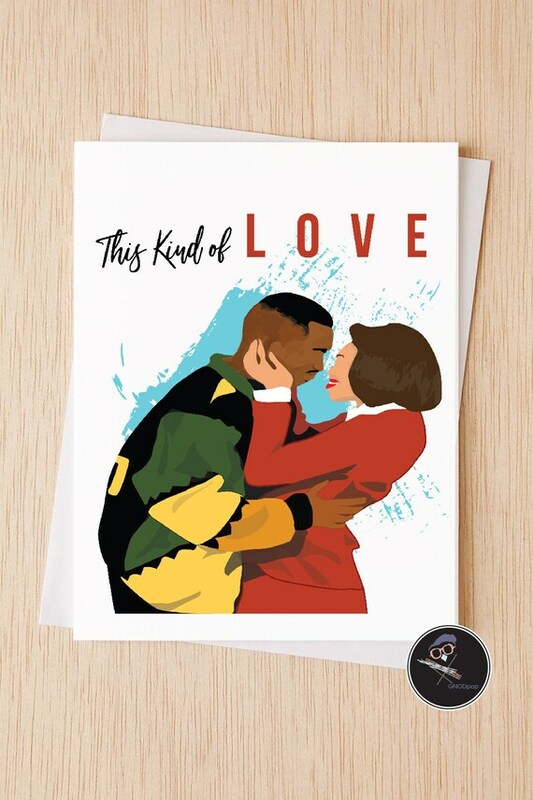 So, if your sweetheart is a nineties baby (or even just someone who especially digs the decade,) consider gifting them a unique Valentine '90s kids will love this year. 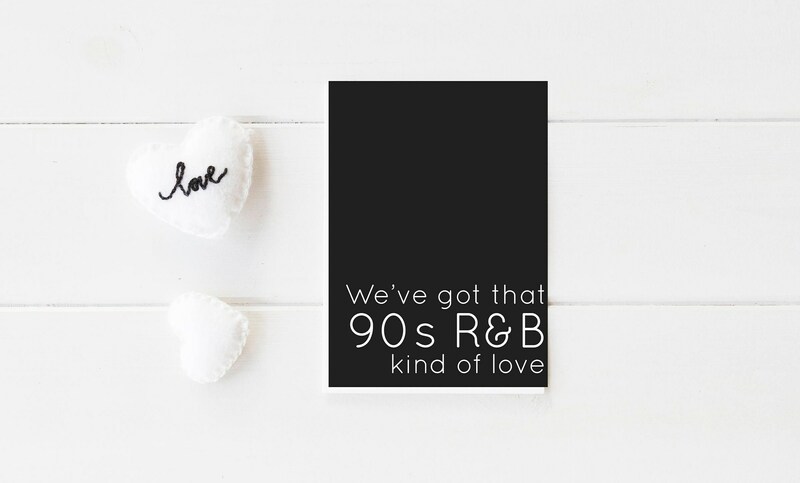 Why channel the '90s for your Valentine's Day celebrations? Simple: the '90s were a decade defined by romance, and brought us some of the greatest depictions of love EVER. 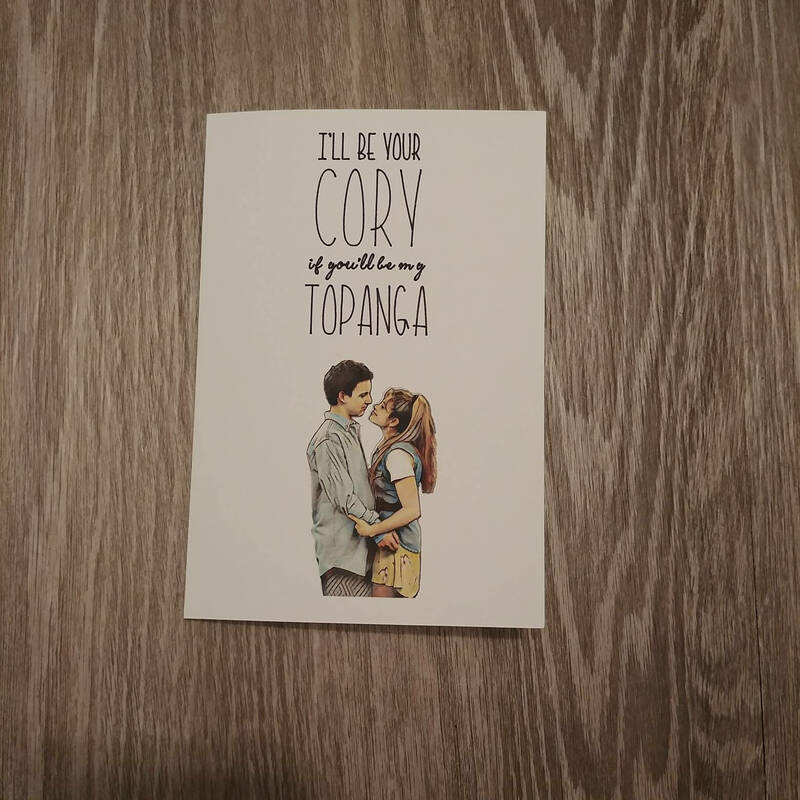 For example: has any TV couple even come close to Corey and Topanga?! Or take Whitney Houston's 1992 Record of the Year, the incomparable "I Will Always Love You"? People still dance to that song at weddings. Plus, who hasn't spent a night on their couch, wrapped in a blanket and crying during the final scene of Titanic? We can thank the '90s for Jack and Rose, the most heart heartbreaking, nautical forbidden love story that defined a generation. 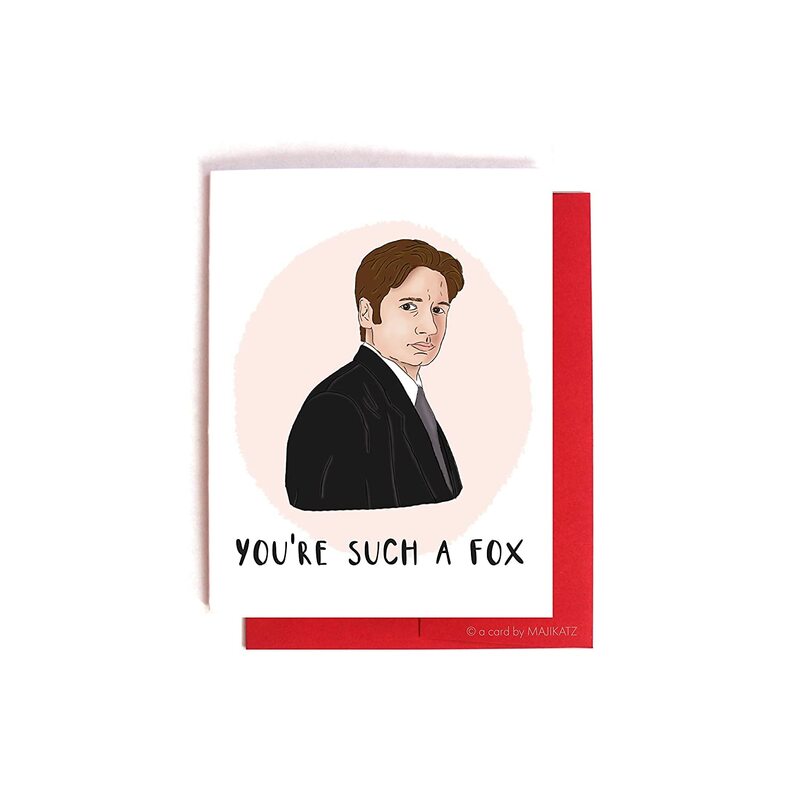 A subtle way to tell someone you ~wannabe~ their valentine. You know, the kind only Boyz II Men could capture. Perfect for channeling your inner Helga Pataki. Plus, this card is stylized like an 8-bit graphic giving it an extra layer of '90s flair. With three choices of caption and the option for packs of up to ten cards, show someone you love them the way Martin loves Gina. 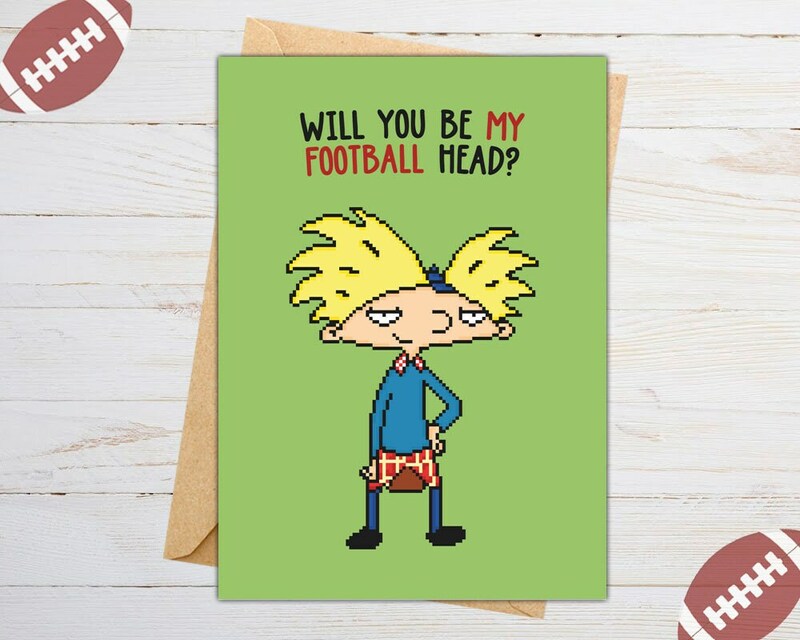 If you have a bunch of friends who are nineties kids, look no further than this assortment of authentic school valentines that are sure to bring you back to the days of elementary school Valentine's Day. The iconic love story of a goofball and a feminist icon: what more could you want? 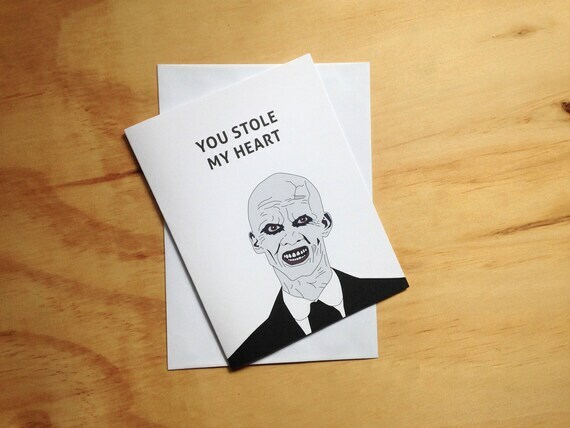 For when your valentine appreciates the darker side of things. Or just really, really likes Buffy the Vampire Slayer (who doesn't?). This quirky sentiment, originally made famous by the show Friends, means the two of you are meant to be together forever, as lobsters mate for life. Okay, the eccentric murder mystery may not scream "romance," but Twin Peaks did acquire one of TV's most loyal cult-followings. 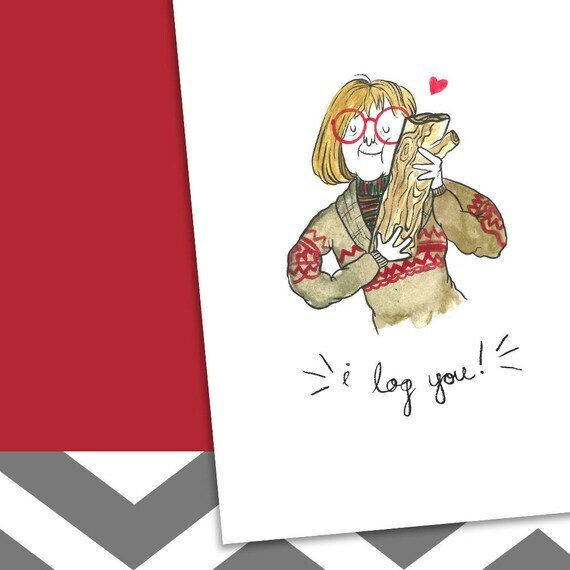 If you know someone who loves David Lynch, this is the card for you. 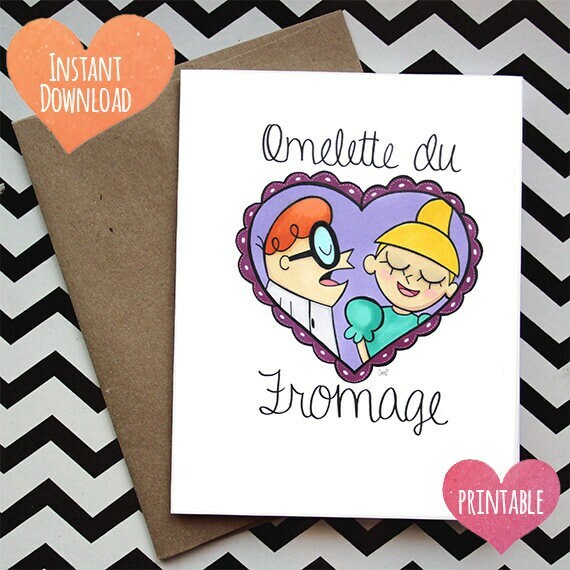 You know what they say, French is the language of love. Show someone you love them with this throwback to one of Cartoon Network's best shows. Plus, it's an instant download! 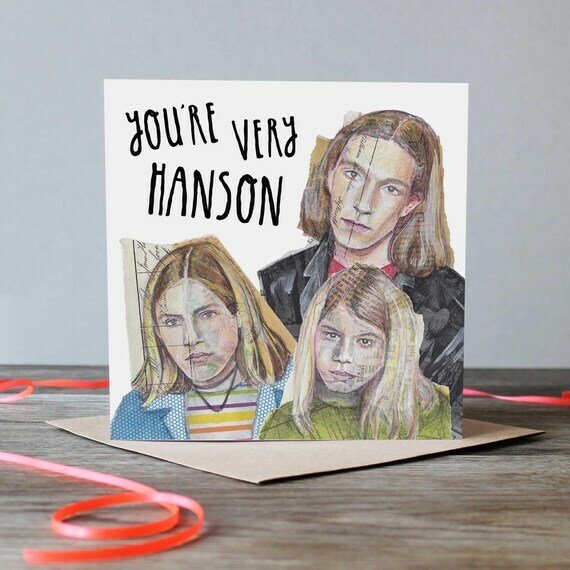 Does your valentine capture your heart like Hanson captured the hearts of countless girls in 1997? Or perhaps your person just likes puns. If you and your valentine aren't very into the lovey-dovey aspects of the holiday, gift them a Nickelodeon icon, instead. 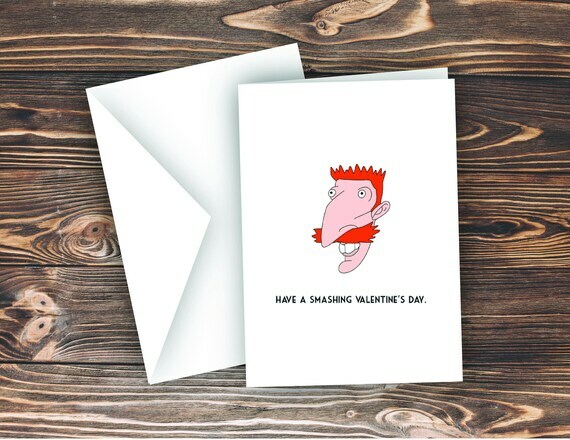 This is also a perfect card for all those platonic loves in your life. The X-Files is great for two things: alien conspiracies, and showing the different layers involved in a relationship like that between Mulder and Scully.